Canal & River Trust are carrying out major maintenance and repair works to the Marple Aqueduct, a Grade I listed scheduled monument, and to Marple Lock No. 2 as part of the HLF funded Revealing Oldknow's Legacy project. A public open day has been arranged which will provide a unique opportunity to see repair works at Marple Aqueduct which carries the Peak Forest Canal ninety feet above and over the River Goyt - the highest masonry-arch aqueduct in Britain. 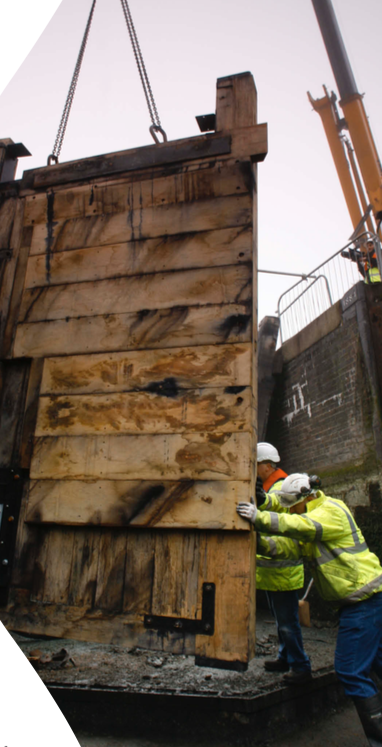 Nearby Lock 2 is currently drained and it will also be possible to climb down within the structure to inspect the repair works that are now underway. The committee meeting was followed by an audit and planning meeting for 2015, attended by the committee and 11 members. One matter of particular note this month is that the proposed Chadwick Street foodstore has been put "on hold" by our councillors because, allegedly, no one is interested and Asda has bought the Coop! It is worth reflecting that if our council had gone ahead with the Kirkland proposal in January 2013 we may, by now, have had a rather fine Waitrose foodstore in Marple. 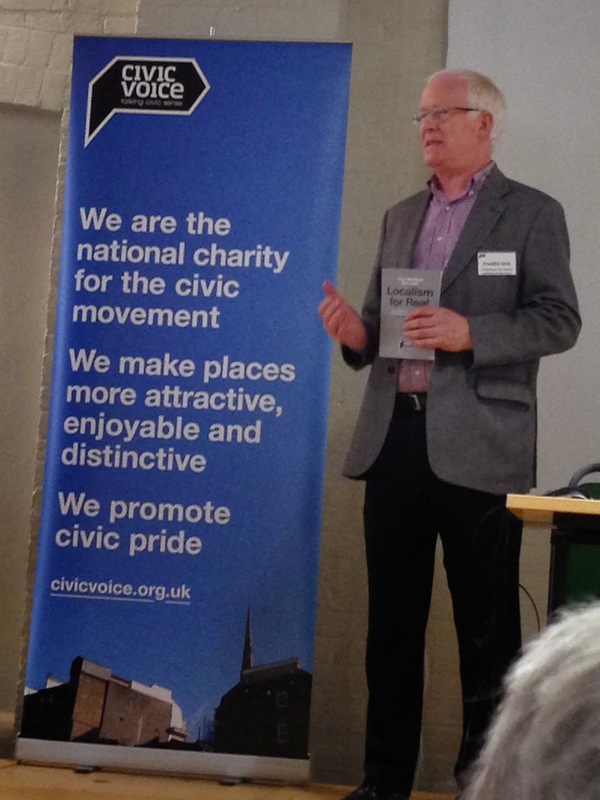 This year's annual Civic Voice AGM and National Convention took place on 24th and 25th October in Canterbury. 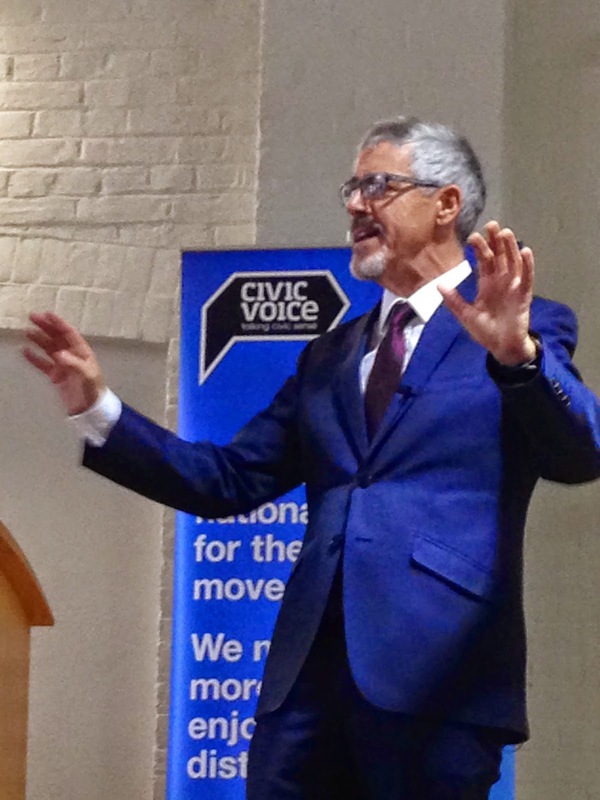 A short highlights video from the manifesto launch can be viewed here. Marple Civic Society were delighted to receive one of the five Civic Day awards given in recognition of our work in promoting partnership working.